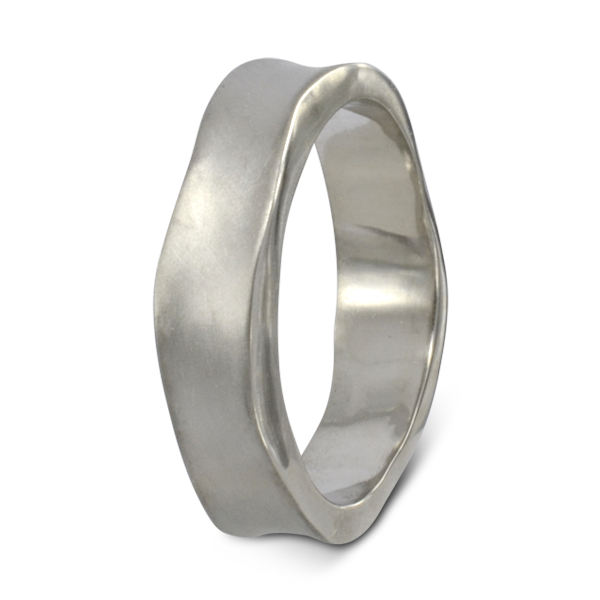 A side hammered wedding ring, 6mm wide and 2mm thick with a brushed finish. It’s available in widths from 2mm to 10mm in any ring size. This style of ring is available in the full range of precious metals: 18ct golds, 9ct golds in white rose or yellow and also in silver or platinum. 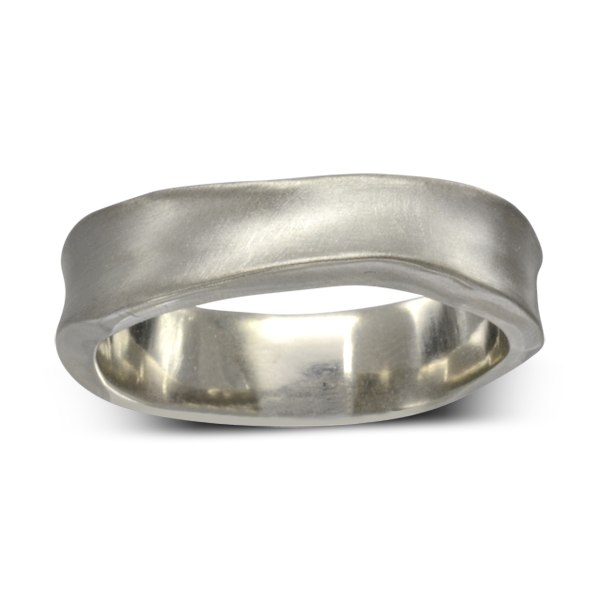 Order your side hammered wedding ring today and have it handmade in our Sussex workshops in four weeks.